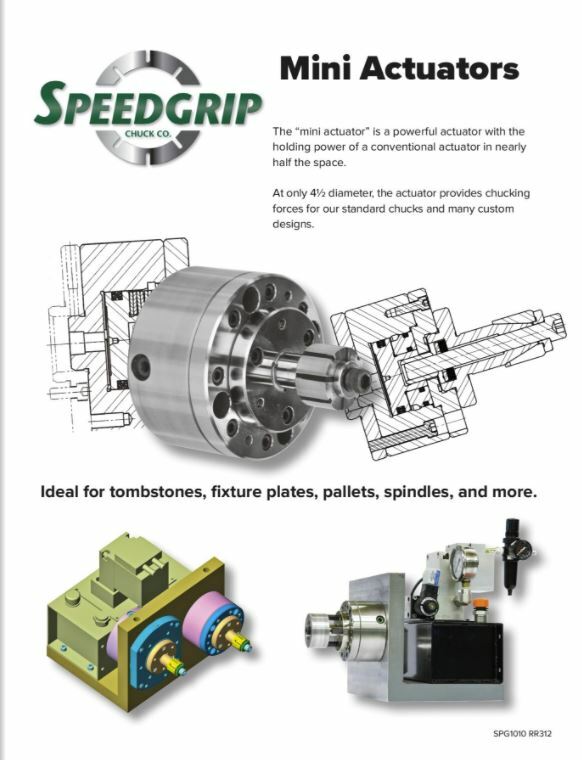 Multi-bore: Gripping in the bore of parts that are turned, faced, and bored are ideal using a Speedgrip collet. The collet will provide 360 degree grip and a strong pullback action as opposed to a 3-jaw chuck with 3 point contact and no pullback. 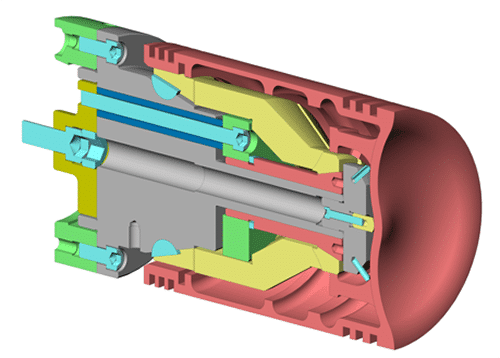 However, when the part has multiple bore diameters you typically choose which bore would be the best to chuck in. A Speedgrip double taper collet can grip in both. 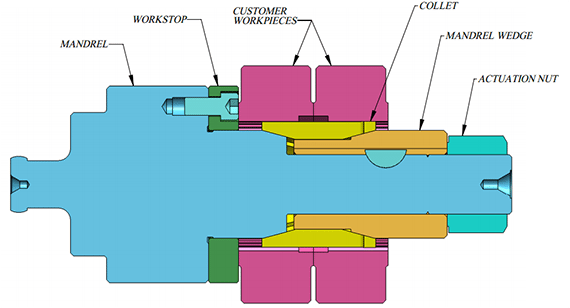 The collet is ground for one bore size on one end and the other bore size on the other. As each end of the tapered collet expands, it grips its respective bore and continues to move until both bores are gripped, with equal pressure, and with a strong pull-back action. The tolerance of the bores can vary. 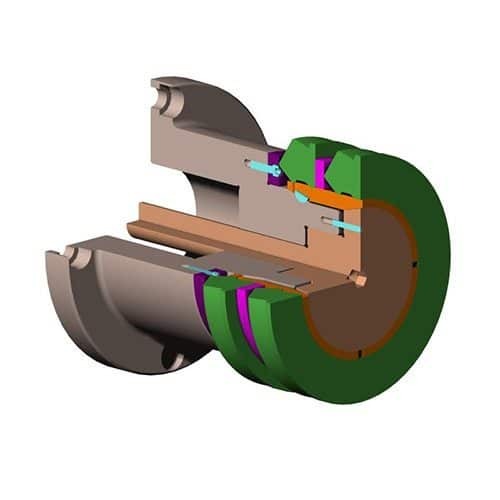 This provides greater part engagement, is naturally more rigid, make the operation feasible to do, eliminate possible chatter, and allow for more aggressive machining thus reducing cycle time and machining more parts per shift. 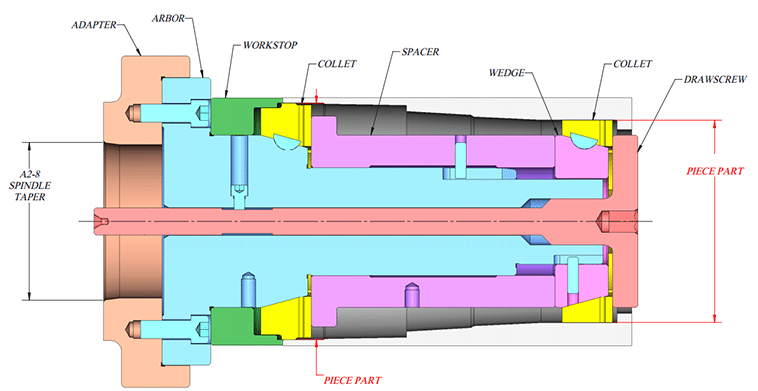 Multi-part: A Speedgrip double taper collet will grip in the bore of two parts simultaneously. As each end of the tapered collet expands, it grips the bore of that part and continues to move until both parts are gripped, with equal pressure, and with a strong pull-back action. The tolerance of the bores can vary. Multi-collet: Chucks and arbors are designed using 2 or more collets to grip long parts of the same diameter bore or varying diameters. All collets move up the taper and continue to move and expand until all bores are gripped and with equal pressure. Using interchangeable wedges and spacers, you simply rearrange the order of them to positon the collet in the best area of the part. Can be designed with pullback or no pullback. Collets in many cases are standard off the shelf and can also be quickly changed for other bore sizes and ideal for family of parts. Chucks and arbors are designed using 2 double taper collets and therefore 4 parts are gripped simultaneously. 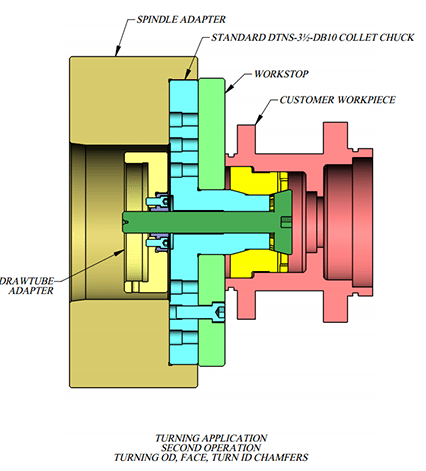 This will double or quadruple part output and is especially feasible for gear machining. Access the Multi-grip Chucking brochure below for additional information and examples.